Whether you’re a once-a-week shopper, or you prefer to hit the mini mart on the way home from work when things are running short, the supermarkets have you profiled, and they know how to make you spend. In those stressful moments when the wonky shopping cart wheel is putting up a fight and there’s a hungry family waiting at home, being prepared to fight the supermarkets at their own game can be the best way to ensure you don’t spend more than you planned. Supermarkets arrange the entire experience around a set of environmental tricks to get you in the spending mood. The rhythm of that slow jazz-lite pop music, for example, will often be intentionally set to a rate much slower than the average heartbeat. Research shows this slows you down and can cause you to spend up to 29% more. If you’ve noticed that supermarket carts seem to be getting bigger, it’s no wonder: double the size of the cart, and shops can expect you to spend 40% more than with a standard cart. Then there’s the arrangement of the goods. Fresh and fragrant near the entrance, to get you in the mood, and quick and guilty at the checkout to squeeze an extra few bucks from you – after all, you deserve that chocolate bar after half an hour’s hard shopping, don’t you? If you want to stay in control of that grocery bill, there are plenty of countermeasures to take. For a start, list in advance exactly what you need and do not deviate from the plan. Never go to the supermarket while you’re hungry. 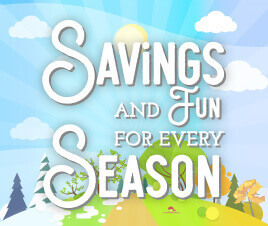 View all ‘deals’ – from coupons to bulk savings – with extreme cynicism: they are designed to make you spend more, not less! And to counter that snail-pace music they’re pumping in, drown it out with some upbeat tunes on your own headphones. 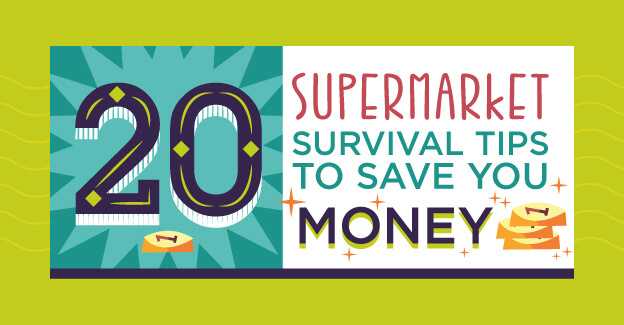 To begin creating your own full-scale supermarket-defying strategy, first study this handy new guide that’s filled with tips for overcoming those big stores’ sneaky methods.